That might have worked with mass-market blockbusters for heartburn or high cholesterol. Then, companies had a relatively captive primary-care audience for broad-brush messaging, punched home by massive sales forces. The more recent shift in focus to narrowly segmented, premium-priced orphan and specialty drugs has transformed the whole launch paradigm. In the key US market, for example, the Food and Drug Administration approved 22 novel medicines in 2016, down substantially from 45 in 2015. Yet the proportion qualifying as specialty drugs (around half) was similar to 2015, while some 17 specialty therapies expanded their indications in 2016. Moreover, US specialty-drug approvals are expected to regain momentum this year, with around 30 of these pending as of March 2017. 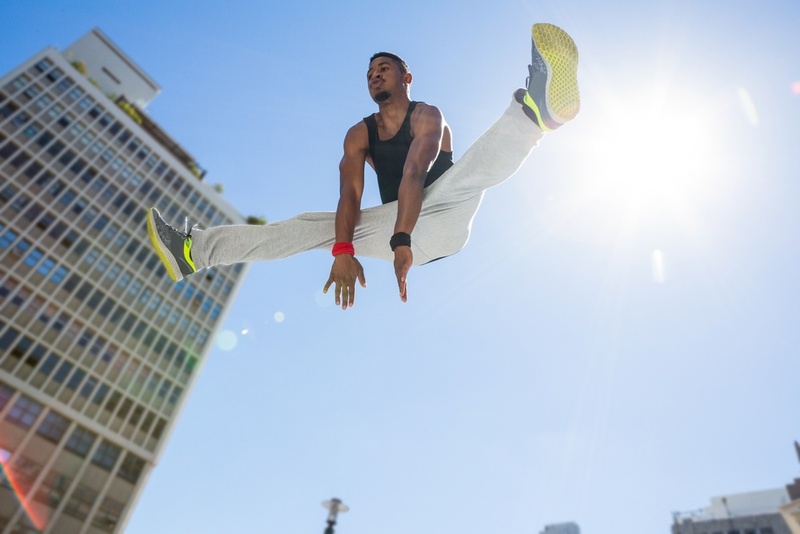 These products are launching into a very different marketplace. In today’s more compliance-conscious environment, pharma’s traditional customers are closing their doors to reps. 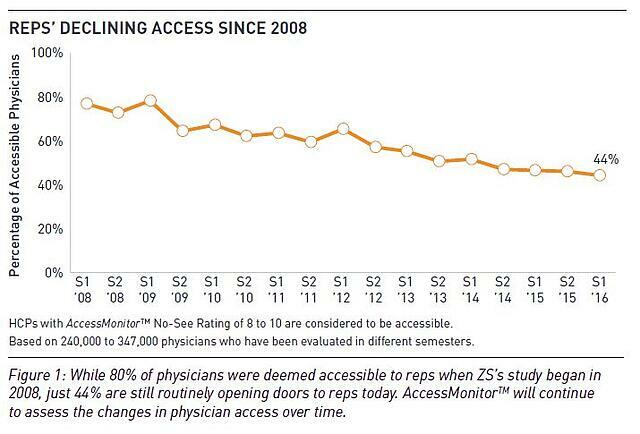 According to US-based sales and marketing consultancy ZS, the proportion of ‘rep-accessible’ physicians – those seeing more than 70% of representatives who try to meet them – dropped to 44% in spring 2016 from 46% in 2015 and from nearly 80% when ZS started capturing the data in 2008. Digital media are taking up some of the slack. ZS found that 53% of outreach to US physicians in 2016 was through ‘non-personal’ promotions, such as e-mail and other forms of multi-channel marketing. It is not just technology and closer scrutiny of brand marketing practices that are changing the landscape. Specialty medicines are typically complex, high-maintenance and aimed at a much smaller, more heterogeneous set of core customers. Those specialists are also far harder to reach by traditional means. In the ZS Associates poll, fewer than 20% of US oncologists were considered ‘accessible’ to sales reps, while the remainder restricted access or blocked it completely. As launch propositions, specialty drugs require a whole new level of strategy and planning. 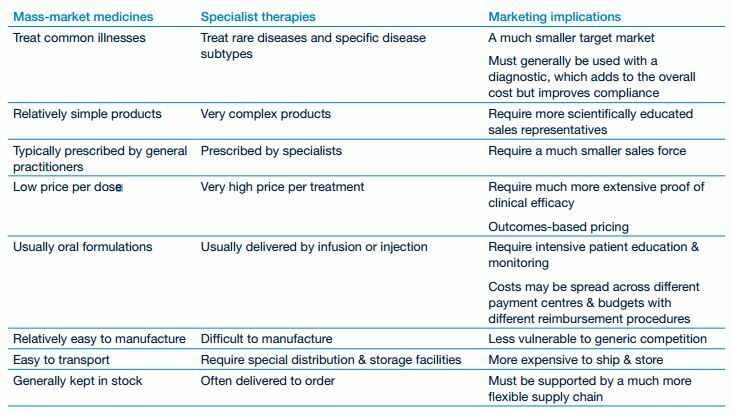 The core customer base and patient population may be smaller, but customers expect far more sophisticated interactions, including discussions on value and outcomes (see table on sales and marketing of speciality drugs, below). Relationship marketing also applies to specialty-drug patients. They are closer to their condition, potentially vulnerable to large out-of-pocket payments, and more vocal about what they need. Nor can companies ignore the range of other stakeholders invested in specialty-drug use, including health-technology assessors and payers who will push back strongly on premium drug prices. All of this needs to be managed through the multiple channels. In short, demands on launch teams are tougher than ever. With more compact sales forces and less traction for blanket promotions, teams are under pressure to do more with less. Today’s launches are more modestly scaled, but they must be planned, implemented and tracked in greater depth. And with follow-on indications critical to the commercial strategy of targeted specialty drugs, launches are coming in rapid succession. The winners in this rapidly evolving environment will be companies whose launch strategies and marketing tools are laser-focused, closely co-ordinated and fully understood at all times, at every stage and level of the organisation. With systematic referencing of pricing and reimbursement from market to market, missed opportunities and delays are more expensive than ever. Getting it right first time, and every other time, is the only way to vindicate the costs of drug development. TRiBECA® Knowledge is a market leader in smart business tools that help pharmaceutical companies optimise launch readiness by enhancing visibility, transparency, communication and collaboration across brands, management layers, business functions and countries worldwide.